Limn Microfinance as a Credit Card? Muhammad Yunus won the Nobel Peace Prize in 2006, the most prestigious of a string of awards celebrating his role in creating banks for the poor. If there was a Nobel for marketing, he could have won that, too. That’s not meant as a jab but as recognition of Yunus’s rhetorical flair. Yunus not only founded a financial institution that serves the poor in Bangladesh (Grameen Bank, the 2006 Nobel co-winner), he also crafted a global vision for funding entrepreneurs and tirelessly promoted it for three decades. Muhammad Yunus at the unveiling of his official portrait as Chancellor of Glasgow Caledonian University. June 29, 2016. Photo by Author. But today Yunus’s vision — and the assumptions it rests on — is coming apart. Microfinance has proved fairly robust as a banking idea but not as an anti-poverty intervention. Yunus’s pitch for microfinance was designed to please donors and socially-driven entrepreneurs who might follow his lead. His pitch is simple, promises much, and asks little of donors and aid agencies. The focus is on loans that are funded mainly by borrowers’ interest payments. The microfinance loans, Yunus argues, fund small, under-capitalized businesses and thereby transform their ability to generate income. That accomplishment, he claims, can reduce poverty dramatically. In contrast to the targets of previous attempts to fix credit markets in low-income areas, the borrowers are mostly poor women, the loans are small (starting around $100), and repayments are made in manageable weekly installments over a year. Microfinance is an unusual kind of “device.” Most important, it’s a set of financial services, not a tangible product. But the microfinance narrative is very much bound up with its “device-like” qualities: microfinance is tailored to meet a narrow, specific purpose; its presentation and delivery are standardized and easily replicable; it is sold in standard units without much customer support; and it is brought into communities without substantial adaptation to the local context. Ideally, context should matter more, but customization is costly. The device-like nature of microfinance permits lenders to expand quickly and slash costs. Microfinance is device-like in another way. Many microfinance providers seek to earn profit and pay for their work through a fee-for-service business model. Microfinance institutions thus aim to operate independently of the state’s purse and outside its purview. Unlike public social insurance programs that redistribute income, microfinance leaves poor people to find — and fund — their own ways out of poverty. Grameen Bank’s success in Bangladesh — it now serves over 8 million customers — has been a model for similar entrepreneurial, market-friendly approaches to social problems, including private health clinics and ambulance services for the poor, private schools in slums, and a range of other interventions that graft do-good aspirations onto market models. The pitch for microfinance hasn’t been embraced by everyone. Some argue that poor adults need quality jobs, offering employee benefits and possibilities for promotion, not self-employment in tiny, self-managed businesses (Bateman and Chang 2012). The anthropologist James Ferguson argues that the rise of publicly-provided cash transfers holds far more interest than “paradigmatically neoliberal” interventions like microfinance (Ferguson 2015: 1). Empirically-minded academics (who may have started with high hopes for microfinance) also point to evidence from independent research that fails to find clear causal impacts of microfinance on business growth or poverty reduction for most customers. Aid agencies and foundations have been left feeling confused, disappointed, and perhaps betrayed — and have started moving on (Mossman 2015). But too quickly dismissing microfinance as a “sort of neoliberal predation” (Ferguson 2015: 2) or as a poor substitute for social insurance or alternative income-generating interventions fails to get at the root of microfinance as practiced. So does outright rejection based on econometric studies of hard-to-find causal impacts on business outcomes. The arguments against microfinance may be correct on the surface, but they fail to get at what microfinance actually is and how it really works. Although microfinance has failed relative to its boldest claims, it has not failed unconditionally. In fact, microfinance has been a wild, improbable, impressive success in important ways. Microfinance grew fast in Bangladesh, serving women whose families live on incomes that are low, if not among the country’s very poorest, and the broader movement inspired by Yunus and his fellow pioneers now serves more than 200 million people globally. Each week, microfinance institutions bring reliable financial services to citizens who otherwise would be ignored and excluded by traditional banks. We are then left with a puzzle. Why do so many millions of people want microfinance if it fails to deliver on its promises? The problem is not with its device-ness but with its portrayal. The practice of microfinance is distinct from the narrative that Yunus created to promote it. Microfinance customers have re-imagined what the financial services can do and why they need them. Customers divert microfinance loans from businesses and instead use them to spend on other priorities. By doing that, borrowers provide an alternative view of their real needs (and an alternative view of microfinance’s possibilities). Researchers have tested Yunus’s narrative of entrepreneurial transformation and found it wanting, but the tests are too narrow because Yunus’s narrative is too narrow. To unspool Yunus’s vision and explore alternatives, it is helpful to go back to the 1980s when the modern incarnation of microfinance first emerged on the global scene. Transcripts from congressional hearings about foreign assistance provide a useful record of early public conversations in the United States. In February 1986, for example, Rep. Stan Lundine of New York convened a joint meeting of the House Select Committee on Hunger together with a subcommittee of the Committee on Banking, Finance and Urban Affairs. The hearing took place in a high-ceilinged, wood-paneled chamber within the maze of the Rayburn House Office Building, the block-sized office complex flanking the U.S. Capitol. The topic was “Microenterprise credit” — not yet shortened to “microcredit” — and Yunus was the featured guest. At the time, he was a little-known Bangladeshi economist who, three years before, had received a special license to create Grameen Bank. The Ford Foundation, an early backer, paid to bring Yunus to Washington. One of the things which struck me, was that it is very hard for people to make a living, because the circumstances and environment do not support their income-generating endeavors. One woman I met in that village near Chittagong University was working all day to make bamboo stools. At the end of the day she made only 2 pennies. My trained mind in economics could not accept the propopsition that one could work all day to build bamboo stools and make only 2 pennies. On closer scrutiny, I found that it is because she did not have the small amount of money to buy the bamboo to make the bamboo stool, so she borrowed the money from the trader who will buy the final product, the bamboo stool, from her. As a result, the trader dictated the price, which barely equaled the cost of the raw materials. So, it came to my mind that I should make a list of such persons in that particular village who were borrowing from the trader just to make things and make a living for themselves and how much money they are borrowing from the trader. Yunus’s impulse was humanitarian and focused on the villagers’ immediate burdens. These early observations suggested to Yunus the possibility of a kind of emancipation. The stool-maker would gain freedom from the middleman’s usurious loans. The rickshaw puller could buy his own rickshaw and avoid handing over the bulk of his earnings as rent for the vehicle. The story holds power — but only under strong assumptions. Stripped to its essence, the story constructs a narrow view of the poor as fundamentally entrepreneurs (or would-be entrepreneurs) with pent-up productive power, held back only by the lack of capital. What is left unsaid and unexamined is the possibility that some villagers instead see themselves as would-be employees rather than would-be entrepreneurs — and they might then benefit most from the introduction of a large employer with the capacity to offer steady employment. Nor is there recognition of a failure in the goods market that might instead be met by increasing competition for monopolist middlemen. Nor is there recognition here that financial tools are necessary to facilitate spending, not just fund investment. Figure 1. The Return to Capital (Case 1: Diminishing marginal returns to capital). Entrepreneurs who start with little capital generate far more additional profit than those who start with more capital. The counter-intuitive part springs from the next step: the simplified story results in starved-for-capital micro-enterprises served by Grameen Bank generating far higher profit (r1) from a given investment (an increase from A to B in fig. 1) than by the larger, established businesses served by traditional banks. 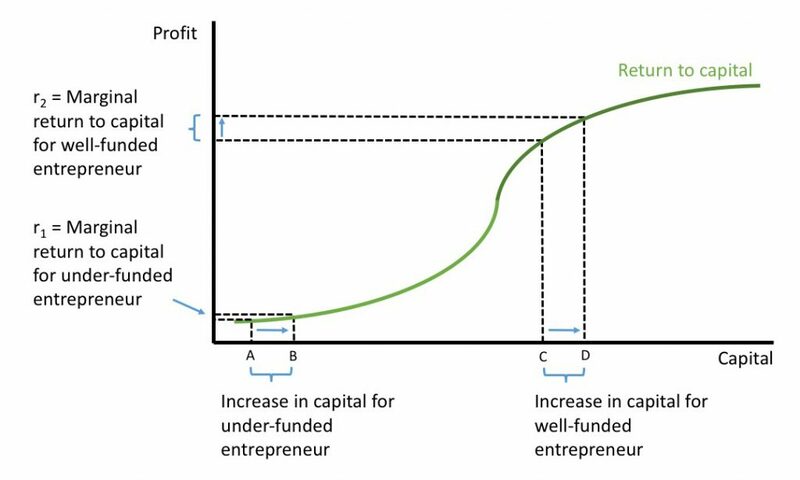 The gain in profit for entrepreneurs that are already well-funded is just r2 when their capital increases by the same amount (i.e., an increase from C to D). Microentrepreneurs very much represent the private sector in developing countries. In fact, it is this segment of the private economy in these countries which is the most dynamic and which represents the greatest potential for economic growth. Economic growth from the bottom up benefits precisely those who have the greatest need and therefore the most to gain, the poorest of the poor. (U.S. House of Representatives: 1-2). The assumption that poor microentrepreneurs have the “greatest potential for economic growth” also means, according to the logic, that the poor can pay high interest rates and still come out ahead. In fact, they can pay far higher interest rates than larger businesses (since r1 >> r2). Assumptions are thus inverted: The poor can pay more because they are poor and excluded. The poor can profit more because they are poor. In short, Yunus’s story implies that if you can find a way to reach the poor, their gains (and the bank’s gains) can be high. 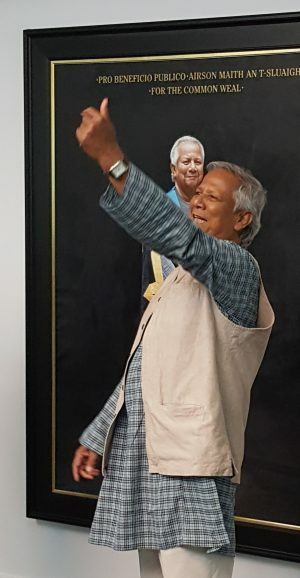 Yunus reported to the legislators that Grameen Bank had grown steadily, earned profit for the past two years, and recovered loans at a rate “near 99 percent.” Yunus’s contribution was to find a way to reach the poor cheaply enough that revenue from interest could cover the costs. Grameen Bank did that by serving villagers at group meetings and having the villagers themselves play a role in monitoring each other and determining creditworthiness (Cull et al. 2018). The cost-cutting part of Yunus’s depiction increasingly was relevant to its success. By the time of Yunus’s visit to Congress in 1986, the IMF and World Bank were preoccupied by the fiscal imbalances in developing economies, which ultimately pushed the IMF and World Bank to force high-debt countries to cut budgets in order to service foreign debt, often by slashing social spending. In that light, it was unsurprising that Representative Bereuter highlighted that support of microcredit was inexpensive for donors (especially relative to building bridges and railways). In almost poetic terms — “given today’s budgetary reticence” — Bereuter had noted that “the large drop in new investments in the developing world” made “small credits to viable microbusinesses seem to be an optimal way to generate new income and jobs” (U.S. House of Representatives 1986). Microcredit thus also had the advantage of seeming like a cheap way to do something for the poor. The donors only were called upon to provide startup funding and basic infrastructure. Another poetic contrivance created an additional reason for turning to microfinance: the rathole. This metaphor was invoked most famously in the 1990s by Sen. Jesse Helms, a Republican from North Carolina and chairman of the Senate Foreign Relations Committee, to depict what he saw as a transfer of taxpayer funds overseas with seemingly little accountability and no clear metrics of impact. To Helms, foreign assistance mainly disappeared down “foreign ratholes” never to be seen again. But with microfinance the market promised to provide accountability. Surely customers wouldn’t pay Grameen Bank for loans — with 16 percent interest at the start — if the services were not making a difference. Plus, surely the loans would not be repaid “nearly 99 percent” of the time if the money was being wasted. The market, hallowed in Reagan’s 1980s, thus was positioned as both a delivery mechanism and an accountability guarantee. Evidence of sustained demand for microcredit and high repayment rates became the prime indicators of success. Other interventions, like public schools and hospitals or road projects, could not claim such easy metrics. The world, though, doesn’t necessarily look like figure 1. There are tradeoffs and complexities in practice and, like so much else in economics, the relationship captured by the simple textbook case requires that we assume ceteris paribus — “all else is held equal.” The assumption is not trivial here. People who start with vastly different amounts of capital also are likely to be different in other ways. Poor entrepreneurs are less likely to have relevant skills and connections. 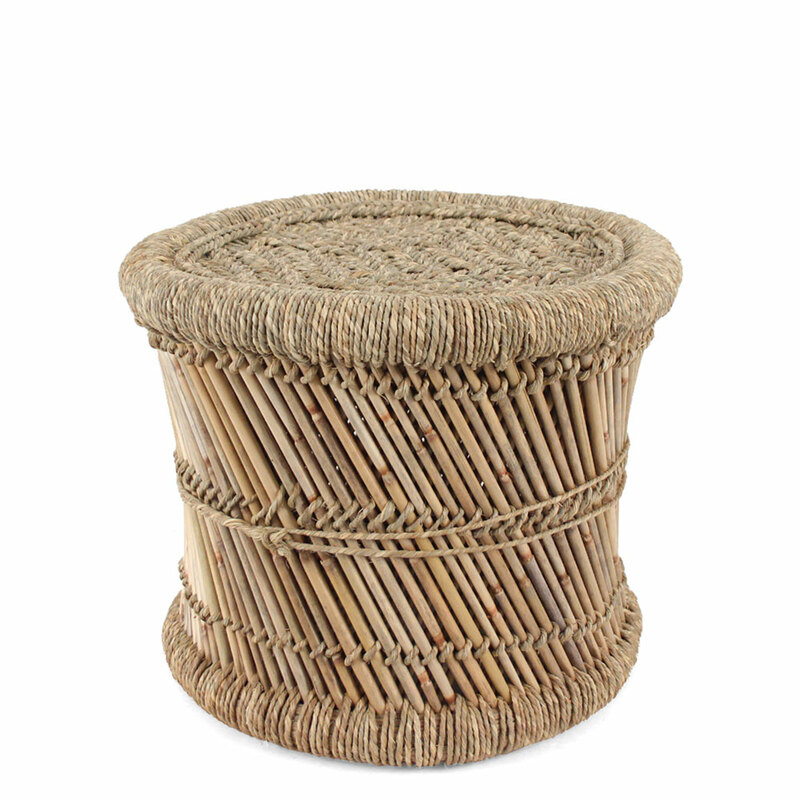 The bamboo-stool maker probably is hindered by more than the lack of financial access. She also may lack the trade connections or marketing skills to sustain a scale of business necessary to reap large returns. The story changes dramatically (see fig. 2) when the analysis is expanded to take into account how economies of scale can matter. 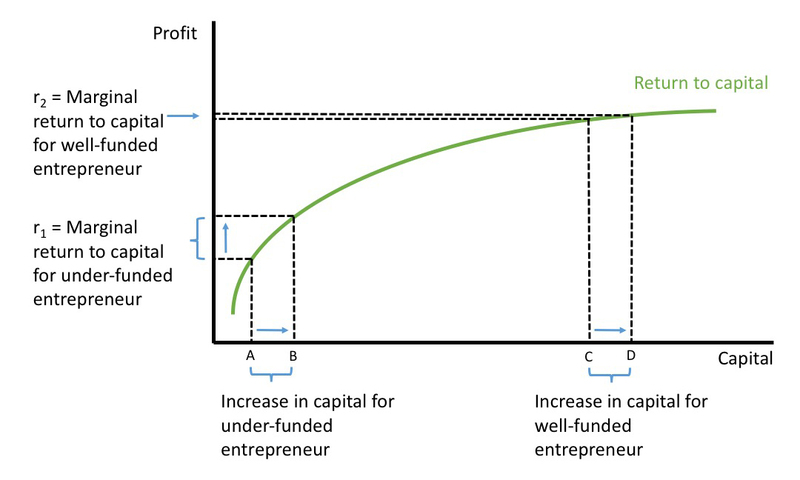 Here, the poorest entrepreneurs (i.e., those in the left-most section increasing capital from A to B) generate little extra profit with a given increment of extra capital (for lack of scale and perhaps lack of other inputs beyond capital), while better-off entrepreneurs are positioned to reap the rewards of their size (as they increase capital from C to D). Here, r1 << r2. The poorer entrepreneurs in this second case are unable to profit much, unable to pay high interest rates, and need a lot more than capital if they are to materially move forward. Figure 2. The Return to Capital (Case 2: Returns to Scale in Capital Investment). Entrepreneurs who start with little capital generate less additional profit than those who start with more capital. The assertion that village economies look more like figure 1 than figure 2 — i.e., that diminishing marginal returns is a more powerful effect than increasing returns to scale — set too high a bar for the expectations of microfinance impacts. A stack of statistical studies now shows that village economies are a mix and plenty of residents are in the figure 2 world, ill-prepared to gain much from petty business. For them, the notion of microcredit as a simple device, always capable of delivering impact on its own, falls away. Gone is Yunus’s case that anyone can succeed in business once given access to a bit of capital. What then is the role for microfinance? Why do poor people stick with it? Why does it continue to grow by the year? To answer these questions, it’s helpful to start with an anomaly: In practice, microfinance activity more closely resembles the provision of consumption loans than business loans, revealing a different picture of the financial needs — and financial lives — of poor households. The rhetoric around microfinance obscures the reality that borrowers are consumers, too, and what many often seek is simply better ways to spend, not just to invest in business. Recent village studies, especially those using the close observations of financial diaries methods, show that loans are desired and used for many purposes beyond business. Incomes are seldom steady and predictable; needs vary as well: families need to pay for schools, medicines, and food during slow periods. They might need to buy bus tickets to get to the city for a job, upgrade their homes, or simply pay down a more expensive loan. Borrowers repay the loans in small bits using whatever household income is available. Stuart Rutherford’s financial diaries from Bangladesh, included in the book Portfolios of the Poor, reveal many such examples (Collins et al. 2009). Rutherford spent time with a small group of Grameen Bank customers and found that only half of “business” loans were used for business purposes (and under half when weighted by the size of loans). I found the same in a national survey in Indonesia (Johnston and Morduch 2008), and others reveal similar patterns in India, Peru, and elsewhere. Evidence that microfinance loans are used to fund non-business needs (even if for education or health) is sometimes used to criticize microfinance, but that misses the point. As Collins et al. (2009) argue, microfinance in practice can add critical sources of finance that can be added to other funds used to manage day-to-day cash flows, accumulate large sums for lumpy expenses (including investment), and cope with risk. In a wide variety of situations, microfinance loans can be relied on to help liquidity-constrained households put together the money they need at the moment they need it. The result may be to improve the families’ situations, even if their businesses don’t grow and incomes do not rise (even if they don’t actually have a business!). The notion that business finance is the single, main need for finance for poor households does not square with the evidence. Rather, poor families, like richer families, need broad financial tools. In fact, the poor may need them more urgently. If we drop the illusion that microfinance loans are necessarily business loans (and the assumption is dropped that everyone is a budding entrepreneur), it is easier to see how microfinance works. It becomes easier to see how microfinance addresses the challenges posed by the illiquidity of borrowers. And it becomes easier to anticipate (and more directly address) problems such as over-indebtedness and the lack of adequate consumer protections in the sector (see Guérin et al. 2015 and Karim 2011). It also is easier to see that microfinance is a complement to — not a substitute for — social insurance and other interventions that bring public resources into poor communities. Ultimately, Yunus’s talking points were, if anything, too easily appealing in their moment. Microfinance is instead best thought of as a device like a credit card: it can be very helpful, sometimes harmful, and seldom truly transformative. Microfinance loans differs from credit cards in important ways too; they are fixed loans, not lines of credit, and they have clear rules and structures that make it more difficult — but not impossible — to get into real trouble with debt. Only with a sharper understanding of how microfinance is actually used can providers develop better options and safeguards. This vision of microfinance may not sell as well to donors, but it may describe the device that families most need and value. Grameen Bank eventually created loan products to support a limited range of spending needs, especially for major housing and education costs. Their main loan product, though, has always been described as a business loan, despite evidence that it is often used in broader ways. Grameen Bank’s achievements are impressive, but claims about profits and loan recoveries are overstated when viewed from the perspective of generally-accepted accounting principles; instead, my calculations show that Grameen was reliant on subsidy from the start (Armendàriz and Morduch 2010). For an updated view of the continuing dependence on subsidy in the broad microfinance industry, see Cull et al. (2018). Armendàriz, Beatriz and Jonathan Morduch. 2010. The Economics of Microfinance, Second edition. Cambridge, MA: MIT Press. Bateman, Milford and Ha-Joon Chang. 2012. “Microfinance and the Illusion of Development: From Hubris to Nemesis in Thirty Years.” World Economic Review 1: 13-36. Collins, Daryl, Jonathan Morduch, Stuart Rutherford, and Orlanda Ruthven. 2009. Portfolios of the Poor: How the World’s Poor Live on $2 a Day. Princeton, NJ: Princeton University Press. Cull, Robert, Asli Demirgüç-Kunt, and Jonathan Morduch. 2018. “The Microfinance Business Model: Enduring Subsidy and Modest Profit.” World Bank Economic Review, forthcoming. Available at link. Ferguson, James. 2015. Give a Man a Fish: Reflections on the New Politics of Redistribution. Durham, NC: Duke University Press. Guérin, Isabelle, Labie, Marc and Servet, Jean-Michel. 2015. The Crises of Microcredit. London: Zed Books. Johnston, Don Jr. and Jonathan Morduch. 2008. “The Unbanked: Evidence from Indonesia.” World Bank Economic Review 22 (3): 517-537. Karim, Lamia. 2011. Microfinance and Its Discontents: Women in Debt in Bangladesh. Minneapolis, MN: University of Minnesota Press. Mossman. Matt. 2015. “Moving Beyond Microcredit.” The New Yorker. November 2, 2015. U.S. House of Representatives. 1986. “Microenterprise Credit.” Hearing of the Select Committee on Hunger and Subcommittee on International Development Institutions and Finance, Committee on Banking, Finance, and Urban Affairs. February 25, 1986. Available at link.